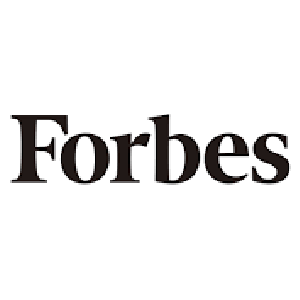 We are proud to announce that Forbes magazine has (for the third year in a row), ranked The QualiFind Group in their annual List of the Top 200 Executive Search Firms in North America. The 2019 list puts us among the Top 20 Search Firms in the United States by moving our 2018 ranking 12 spots from #31 to #19 on the 2019 list. The Forbes list is compiled in cooperation with Statista via a survey of 30,000 plus survey participants. Participants include executive-level candidates / employees, human resources leaders and external recruiters (peers) who have worked with executive search firms during the past three years. External recruiters were asked to nominate a peer search firm based on the case that they would not be able to provide a service or industry-focus themselves. Statista collected and validated the recommendations from the participants in all three surveys as well as the assessments from executive candidates and human resources management. We are particularly proud of this ranking due to the fact that more objective elements such as service delivery, capabilities and performance metrics were used to measure listed firms versus elements such as size. The QualiFind Group was founded in 1999 and provides search and recruitment services throughout North America to include the US, Canada and Mexico and globally through our partnership with IRC Global Executive Search Partners. We have an extensive track record of success in placing middle management to c-suite executives in agribusiness, agriscience, industrial / manufacturing and in functional leadership roles such as accounting & finance, human resources, engineering, supply chain and regulatory compliance. The IRC partnership extends our capabilities by more than 350 search consultants in 45 countries on 6 continents. We were also joined in the Top 20 segment of the Forbes list by three other IRC member firms. Our founder and senior managing partner – Warren Carter is a member of IRC’s Executive Board of Directors and senior managing partner – Carlos Acosta is the America’s Leader for the Industrial / Manufacturing Practice Group for IRC Global Executive Search Partners.